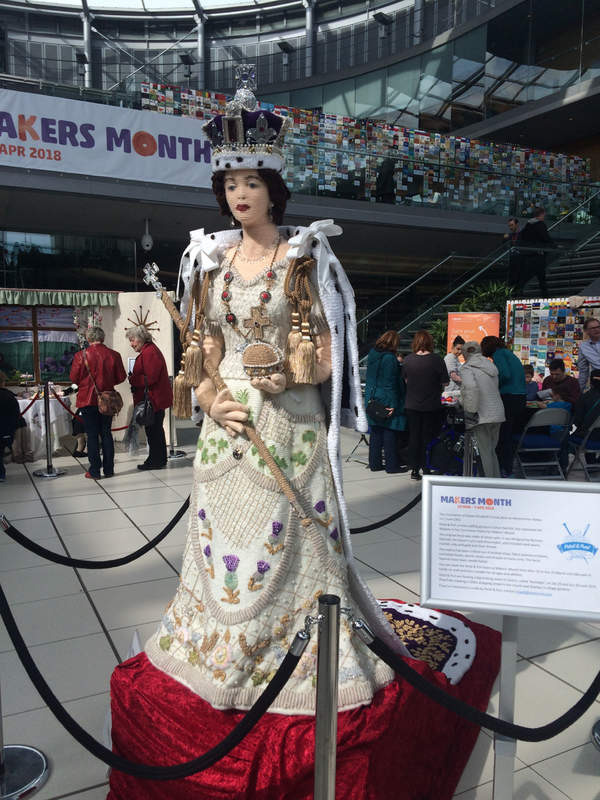 Makers' Month at the Norwich Forum has become an event to look forward to each year. 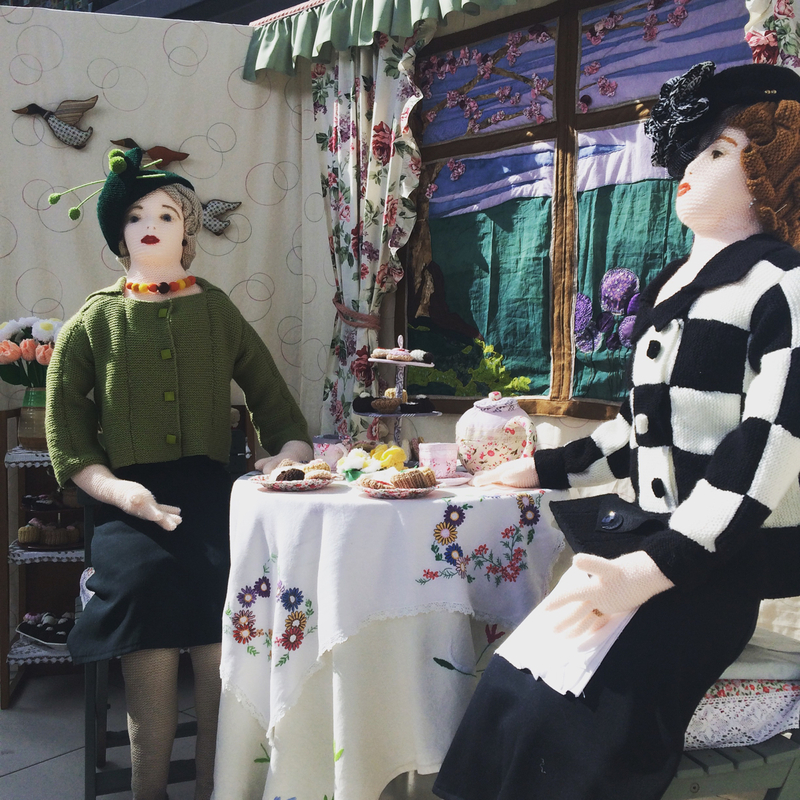 During Makers' Month it's filled with demonstrations, 'have a go', bookable workshops, art and craft exhibits and this year the Woman’s Hour Craft Prize Exhibition. They sometimes have fibre contributors such as alpacas for you to meet but there were none there on the day that we visited this year. Here ares some pictures that I took this time. On the theme of 'nostalgia', the centrepiece is a life-size sculpture of her Majesty (coronation era) in mixed media (mostly knitted). 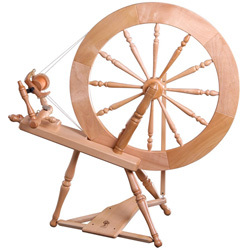 She was made by Petal and Purl, a craft group from Caston, Norfolk. The dress was originally white satin and included seed pearls, crystals, silks and gold and silver thread. This replica has been crafted from knitted strips, fabric painted emblems, crocheted leaves, pearls, beads and threads of many sorts. The facial features are needle felted. 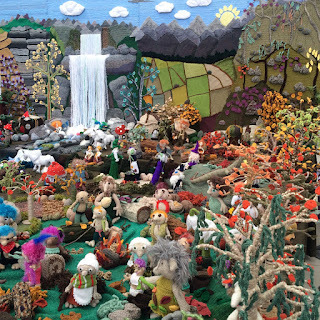 This knitted scene contains characters of all sorts, good and evil! 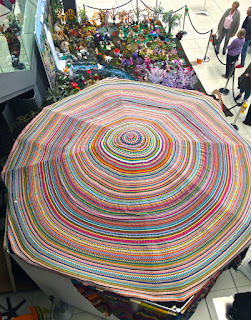 This huge crocheted mandala topped the roof of the 'Nudiknits' cinema. Yes, they were showing the Nidiknits film and there were many of us old people giggling at that. 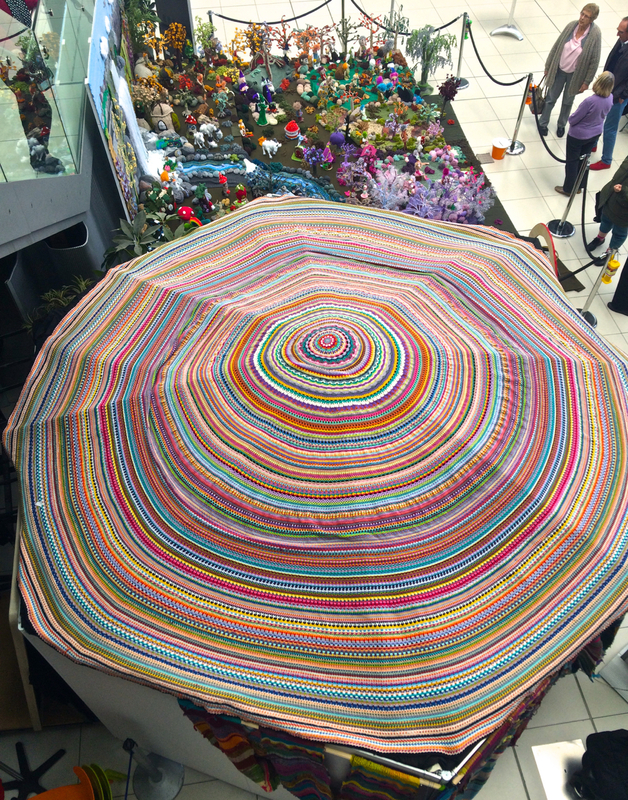 The mandala was best viewed from the gallery.